For enhanced safety, the front shoulder belts of the GMC Terrain are height-adjustable, and the rear seat shoulder belts have child comfort guides to move the belt to properly fit children. A better fit can prevent injuries and the increased comfort also encourages children to buckle up. The Kia Sorento doesn’t offer comfort guides on its rear seat belts. Both the Terrain and Sorento have child safety locks to prevent children from opening the rear doors. The Terrain has power child safety locks, allowing the driver to activate and deactivate them from the driver's seat and to know when they're engaged. The Sorento’s child locks have to be individually engaged at each rear door with a manual switch. The driver can’t know the status of the locks without opening the doors and checking them. The Terrain offers an optional collision warning system, which detects an impending crash through forward mounted sensors and flashes a bright light and sounds a loud, distinctive tone to warn the driver to brake or maneuver immediately to avoid a collision. The Sorento doesn't offer a collision warning system. The GMC Terrain has Daytime Running Lights to help keep it more visible under all conditions. Canadian government studies show that driving with lights during the day reduces accidents by 11% by making vehicles more conspicuous. The Sorento doesn’t offer Daytime Running Lights. The Terrain’s optional lane departure warning system alerts a temporarily inattentive driver when the vehicle begins to leave its lane and gently nudges the vehicle back towards its lane. The Sorento doesn’t offer a lane departure warning system. The Terrain Denali’s blind spot warning system uses digital cameras monitored by computer to alert the driver to moving objects in the vehicle’s blind spots where the side view mirrors don’t reveal them. The Sorento doesn’t offer a system to reveal objects in the driver’s blind spots. To help make backing safer, the Terrain Denali’s cross-path warning system uses wide-angle radar in the rear bumper to alert the driver to vehicles approaching from the side, helping the driver avoid collisions. The Sorento doesn’t offer a cross-path warning system. The Terrain has standard OnStar ®, which uses a global positioning satellite (GPS) receiver and a cellular system to get turn-by-turn driving directions, remotely unlock your doors if you lock your keys in, help track down your vehicle if it’s stolen or send emergency personnel to the scene if any airbags deploy. The Sorento doesn’t offer a GPS response system, only a navigation computer with no live response for emergencies, so if you’re involved in an accident and you’re incapacitated help may not come as quickly. Both the Terrain and the Sorento have standard driver and passenger frontal airbags, front side-impact airbags, side-impact head airbags, front seatbelt pretensioners, front-wheel drive, height-adjustable front shoulder belts, plastic fuel tanks, four-wheel antilock brakes, traction control, electronic stability systems to prevent skidding and available all-wheel drive. The Terrain’s corrosion warranty is 1 year longer than the Sorento’s (6/100,000 vs. 5/100,000). There are almost 4 times as many GMC dealers as there are Kia dealers, which makes it much easier should you ever need service under the Terrain’s warranty. A reliable vehicle saves its owner time, money and trouble. Nobody wants to be stranded or have to be without their vehicle while it’s being repaired. Consumer Reports predicts that the GMC Terrain 4 cyl.’s reliability will be 29% better than the Kia Sorento V6 and the GMC Terrain is 49% better than the Kia Sorento 4 cyl. J.D. 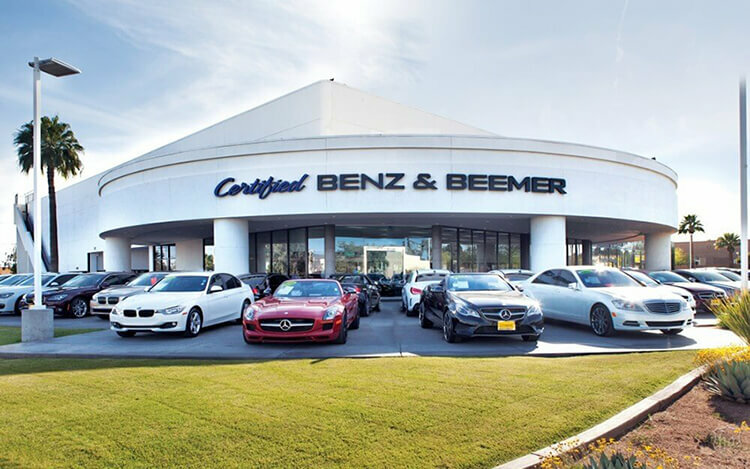 Power and Associates’ 2013 Initial Quality Study of new car owners surveyed provide the statistics that show that GMC vehicles are better in initial quality than Kia vehicles. J.D. Power ranks GMC second in initial quality, above the industry average. With 16 more problems per 100 vehicles, Kia is ranked 11th. J.D. Power and Associates’ 2013 survey of the owners of three-year-old vehicles provides the long-term dependability statistics that show that GMC vehicles are more reliable than Kia vehicles. J.D. Power ranks GMC 17th in reliability. With 6 more problems per 100 vehicles, Kia is ranked 21st. Terrain 2.4 DOHC 4 cyl. Sorento 2.4 DOHC 4 cyl. The Terrain V6’s standard fuel tank has 2.9 gallons more fuel capacity than the Sorento (20.9 vs. 18 gallons). The Terrain’s standard front and rear disc brakes are vented to help dissipate heat for shorter stops with less fading. The rear discs on the Sorento are solid, not vented. The Terrain’s optional tires provide better handling because they have a lower 55 series profile (height to width ratio) that provides a stiffer sidewall than the Sorento EX/SX’s 60 series tires. For better ride, handling and brake cooling the Terrain offers optional 19-inch wheels. The Sorento’s largest wheels are only 18-inches. The Terrain has vehicle speed sensitive variable-assist power steering, for low-effort parking, better control at highway speeds and during hard cornering, and a better feel of the road. The Sorento doesn’t offer variable-assist power steering. For a smoother ride and more stable handling, the Terrain’s wheelbase is 6.2 inches longer than on the Sorento (112.5 inches vs. 106.3 inches). The Terrain 4 cyl. uses computer-generated active noise cancellation to help remove annoying noise and vibration from the passenger compartment, especially at low frequencies. The Sorento doesn’t offer active noise cancellation. The Terrain has a much larger cargo area than the Sorento with its rear seat up (31.6 vs. 9.1 cubic feet). A low lift-over cargo hatch design makes loading and unloading the Terrain easier. The Terrain’s cargo hatch lift-over height is 28.8 inches, while the Sorento’s liftover is 29.9 inches. To make loading and unloading groceries and cargo easier, especially for short adults or children, the Terrain (except SLE) offers an optional power rear liftgate, which opens and closes completely automatically by pressing a button on the key fob. The Sorento doesn’t offer a power liftgate. The Terrain offers a remote vehicle starting system, so the vehicle can be started from inside the driver's house. This allows the driver to comfortably warm up the engine before going out to the vehicle. The driver can also remotely turn on the heater or air conditioner. The Sorento doesn’t offer a remote starting system. The Terrain (except SLE)’s optional easy entry system raises the steering wheel and glides the driver’s seat back when the door is unlocked or the ignition is switched off, making it easier for the driver to get in and out. The Sorento doesn’t offer an easy entry system. The power windows standard on both the Terrain and the Sorento have locks to prevent small children from operating them. When the lock on the Terrain is engaged the driver can still operate all of the windows, for instance to close one opened by a child. The Sorento prevents the driver from operating the other windows just as it does the other passengers. The Terrain’s front power windows lower with one touch of the switches, making it more convenient at drive-up windows and toll booths, or when talking with someone outside of the car. The Sorento’s passenger windows don’t open automatically. On a hot day the Terrain’s driver can lower all the windows using the key in the outside lock cylinder or the keyless remote. The driver of the Sorento can only operate the windows from inside the vehicle, with the ignition on. The Terrain has a standard automatic headlight on/off feature. When the ignition is on, the headlights automatically turn on at dusk and off after dawn. The Sorento has an automatic headlight on/off feature standard only on the EX/SX. When the Terrain SLT with available tilt-down mirrors is put in reverse, both rearview mirrors tilt from their original position. This gives the driver a better view of the curb during parallel parking maneuvers. Shifting out of reverse puts the mirrors into their original positions. The Sorento’s mirrors don’t automatically adjust for backing. For greater rear passenger comfort, the Terrain has standard rear heat vents to keep rear occupants more comfortable. The Sorento LX doesn’t offer rear vents. Insurance will cost less for the Terrain owner. The Complete Car Cost Guide estimates that insurance for the Terrain will cost $110 to $1550 less than the Sorento over a five-year period. The Terrain will cost the buyer less in the long run because of its superior resale value. The Intellichoice estimates that the Terrain will retain 46.64% to 47.79% of its original price after five years, while the Sorento only retains 33.77% to 36.72%. 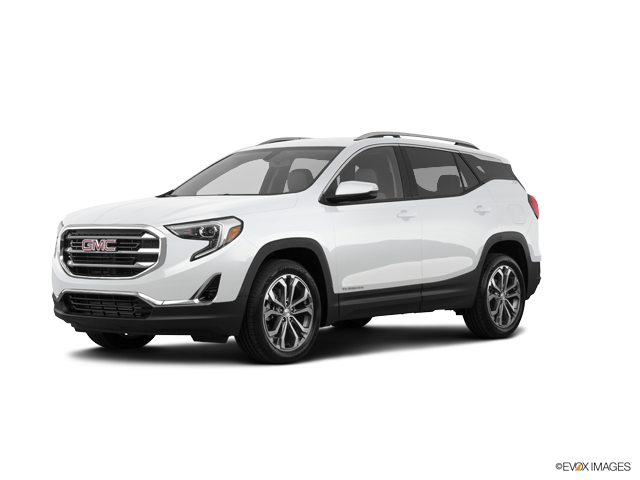 Intellichoice estimates that five-year ownership costs (depreciation, financing, insurance, fuel, fees, repairs and maintenance) for the GMC Terrain will be $428 to $9627 less than for the Kia Sorento. Consumer Reports® recommends both the GMC Terrain and the Kia Sorento, based on reliability, safety and performance.